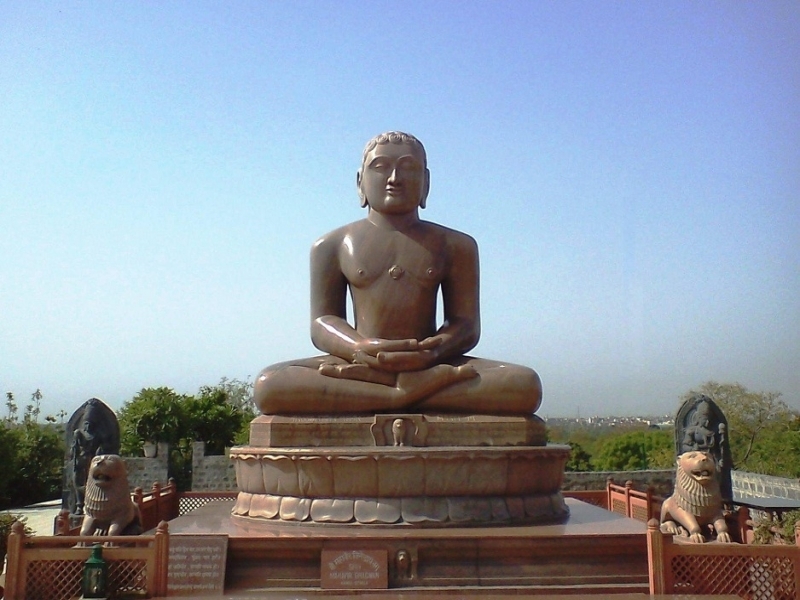 Ahinsa Sthal is a Jain temple located in Mehrauli, Delhi. The main deity of the temple is Mahavira, the 24th and last Tirthankara (human spiritual guide) of Avasarpi?? (present half cycle of time). A magnificent statue of Tirthankara Mah?v?ra is installed here. The statue of Mahavira was carved out of a granite rock in Karkala. The height of the statue is 13 feet 6 inches. Its weight is around 30 tonnes. The height of the lotus pedestal is 2 feet 8 inches and it weighs around 17 tonnes. Been to Ahinsa Sthal ? Share your experiences!